Peyton has a fascination with dinosaurs. There was one point when she would only watch The Land Before Time and Ice Age movies. She’s better now and watches other shows but when I saw an opportunity to take her to a site where they are excavating Mammoth bones I knew I had to take her. For Peyton to see a real Mammoth bone up close would be something she would never forget. 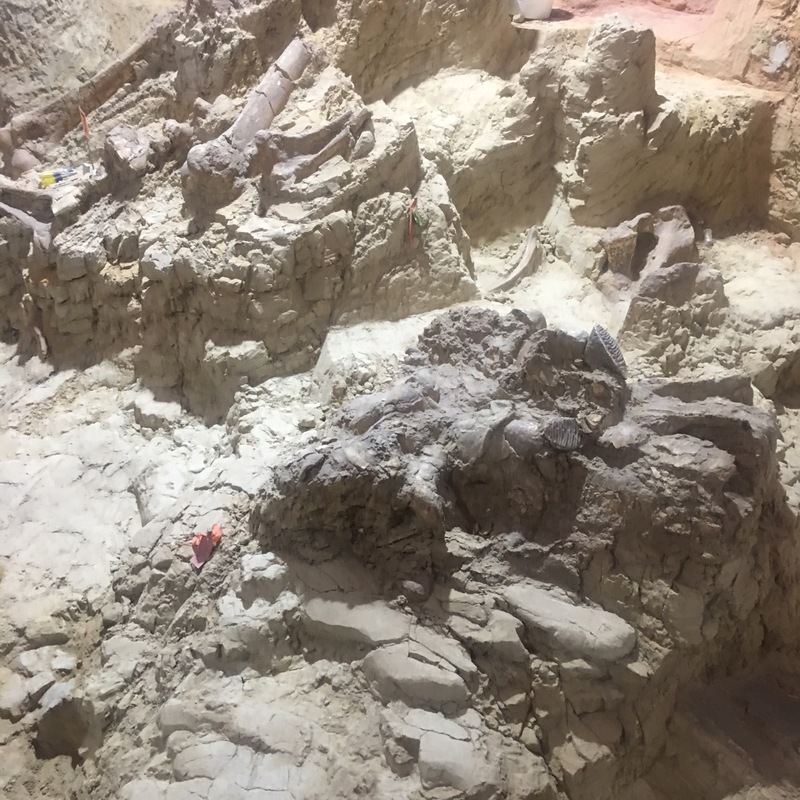 The Mammoth Site is located in Hot Springs, South Dakota which was about an hour from where we stayed. The drive is gorgeous! I loved driving through the twisting and winding roads through the hills. With all the beautiful scenery the hour long car ride passed by quickly. When we arrived at the Mammoth Site there was a huge statue at the entrance way. Then we drove on a dirt driveway, parked in a smallish parking lot and walked about a block to the building. If there is someone in your party that has difficulty walking or cannot make the walk to the exhibit there is a phone number you can call. They’ll bring down a golf cart or vehicle for the person and take them to the building. Looking at the building you would have no idea about what is inside. It’s a large, dark brown structure but once you step inside you discover it’s much more. There is a fee to take a tour of the dig site. They do take credit cards so no need to worry about having enough cash on hand. Also – check out the website to see if your party qualifies for any discounts. We qualified for the military discount so it was around $34 for all four of us to take the tour. The tour starts off with a short video about the history of the area. Then, headphones are passed out and you follow a guide for a walking tour through the dig site. Our guide was spectacular! He was only 14 years old and gave a fabulous tour. Everyone was impressed with his knowledge and professionalism. The kids thought it was pretty amazing to see a kid giving the tour. They were also impressed with all the bones! The tour is well worth it. The amount of knowledge and insight shared enriches your experience. Did you know that they have only discovered male mammoths at the site? Wonder why? Take the tour to find out! Once the tour is over and you’ve handed in the headphones you can spend as much time as you like observing the dig site. During the summer they have active researchers excavating, I believe it was in July. During our visit, there was no active excavating taking place but the exposed bones gave us plenty to admire. 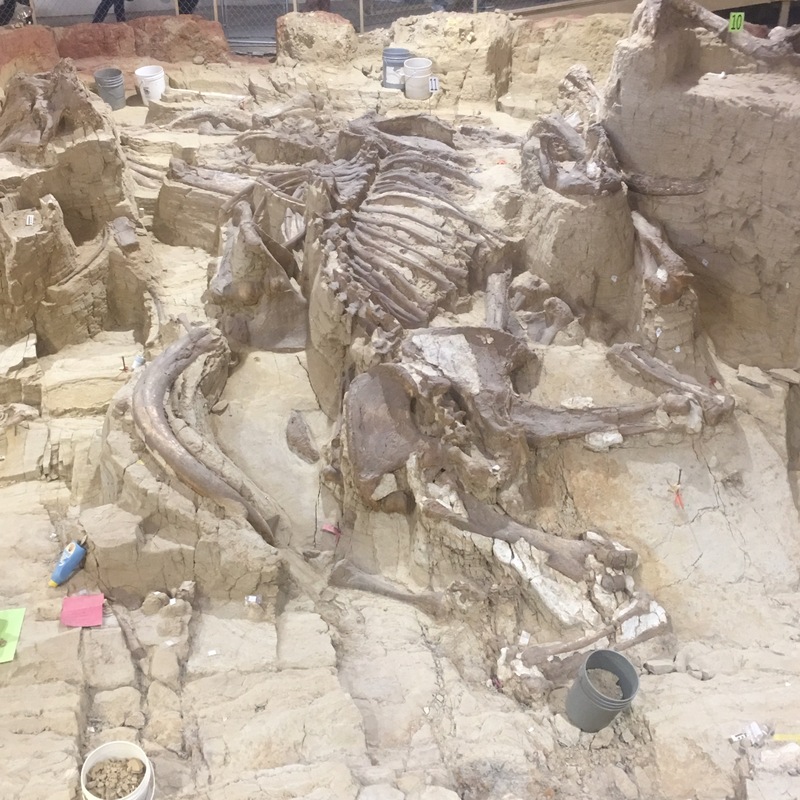 After you’ve enjoyed the tour you’ll enter into an exhibit area where can learn about the history of the Mammoth and other animal bones found at the site and around the area. 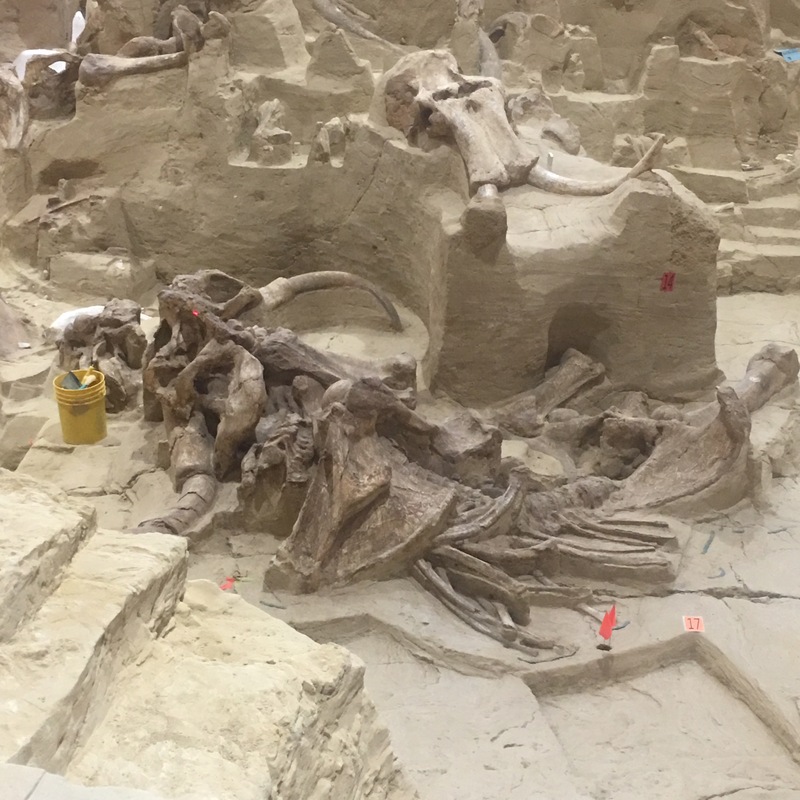 You can even see a home made out of Mammoth bones! The kids thought that was so cool. 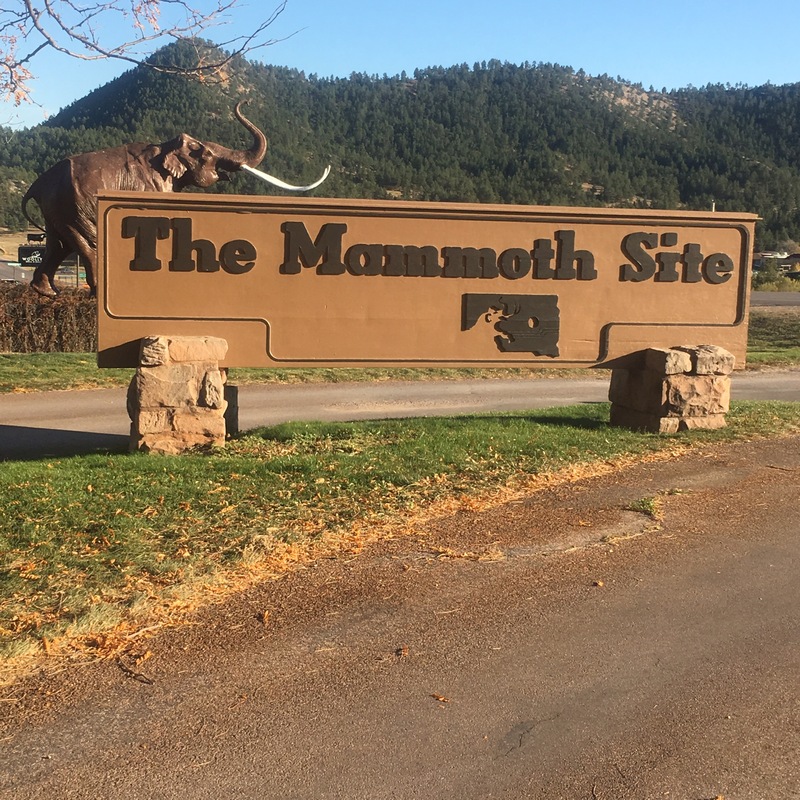 The Mammoth Site is a must stop when visiting Hot Springs, South Dakota. We spent about 2 hours here and could’ve spent more. There is so much to see and look around. During the summer months, I could see families spending a half day at the site. There appeared they may even be some special events.